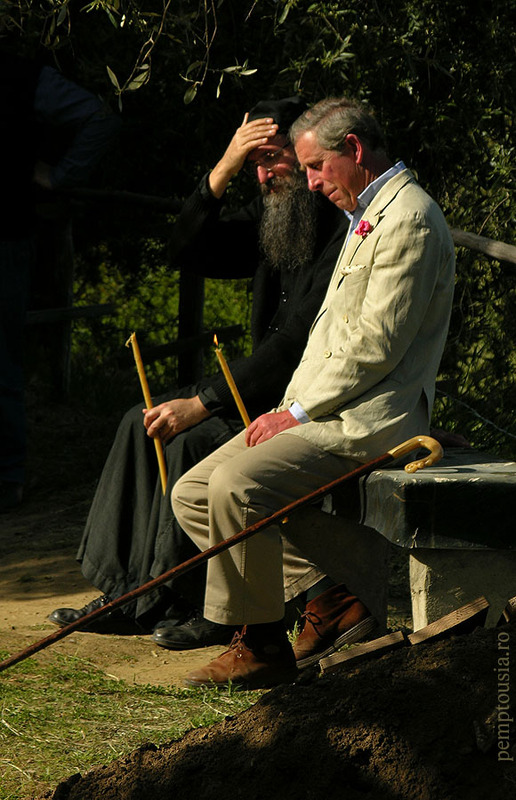 Prince Charles occasionally visits the Holy Mountain and especially Vatopedi (269, 944 and 1021). On the internet I found this picture of Charles visiting the Elder Dionysios of the Romanian St. Georges kelli called Colciu on April 19th 2000. After a long search and with the assistence of reader Emil (thanks!) I could locate this kelli on one hour walk from Vatopedi. 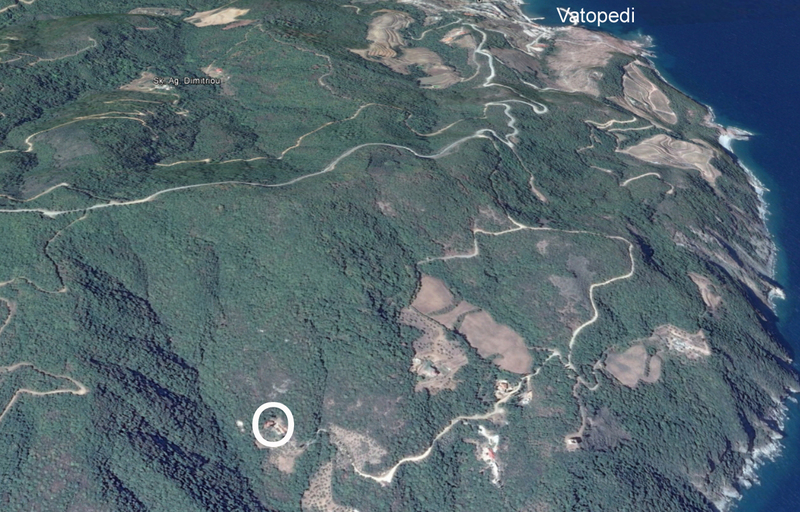 Four years later Prince Charles returned to this little farmhouse for a funeral on May 12th 2004, because Elder Dionysios died on May 11th. 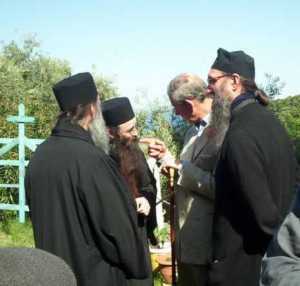 Prince Charles talking to a monk after the funeral, with candle in his hand (thanks to Pemptousia.ro). This entry was posted in kellia, people and tagged prince Charles, Romania. Bookmark the permalink. about 1h or so on dusty roads from Vatopedi.